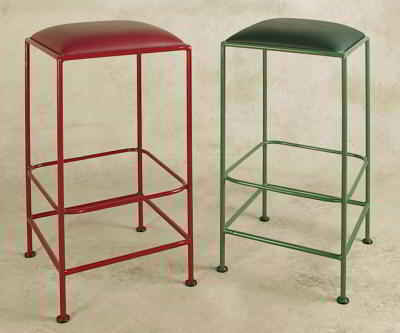 Backless, bar stool in wrought iron that is extremely sturdy and stable. 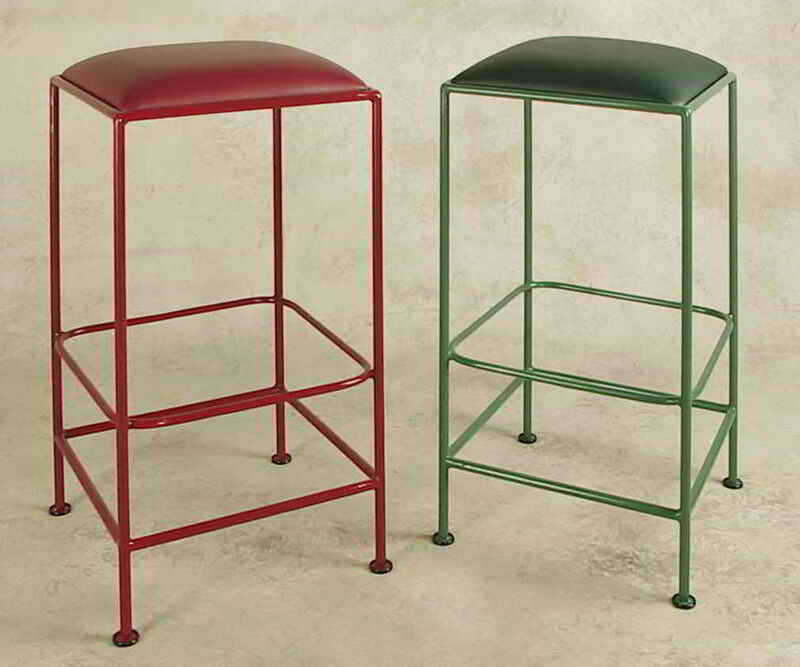 Great at the kitchen counter or the bar. 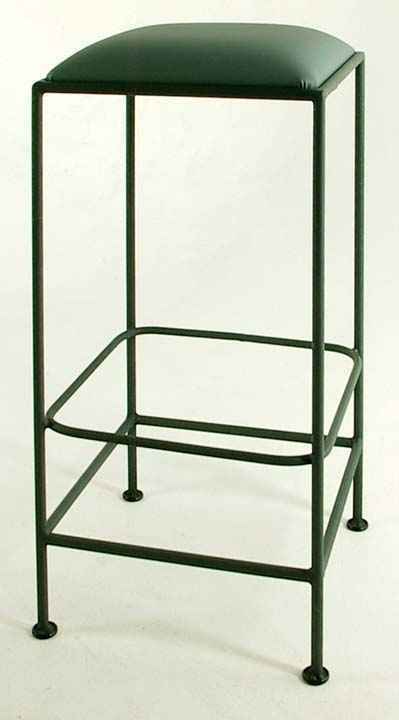 Durable solid iron frame with choice of metal finish. Non-Marring foot glides. 16" sq. Seat Size. Available in 3 heights.